Just listened to this audio book on the way to work and wanted to share it. 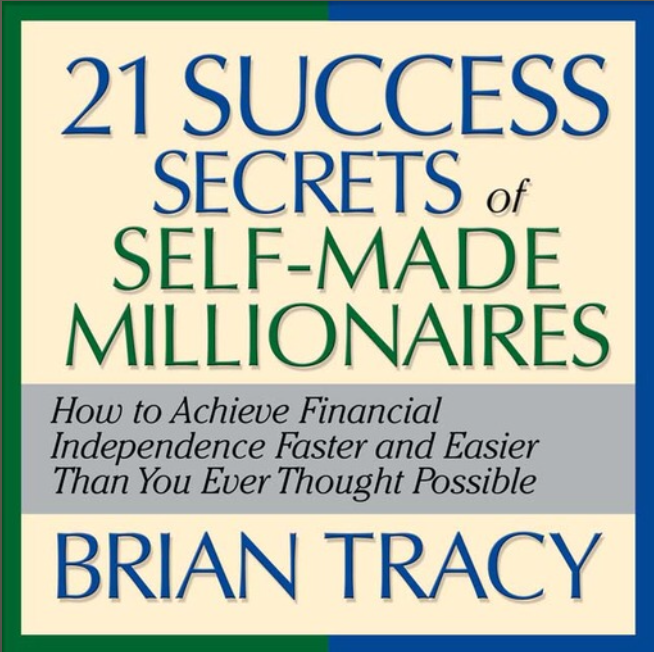 The program is only about an hour long but it has some of the best tips to basically become a millionaire. Below is just a summary for review but I do recommend listening to the entire program. Setting high goals will ensure you are reaching for the stars and will help you make decisions to reach those high goals. Setting clear goals and understanding exactly what you want will help you make the plan to start executing and focusing on what you really need to do. Pretend like you are always working for yourself and put in the extra effort needed to accomplish anything you set out to do. If you love what you are doing you will succeed and love the entire process. Always go the extra mile and be the best at everything you set out to do. Just when you are about to give up keep going and work harder. Always learn and grow, if you stop learning you will stop growing. Always take a set percentage of your income and invest it. Make smart buying decisions, always think about what you really need. Always help other people without the expectation to receive anything in return. You will be rewarded in mysterious ways if you are always giving. Your integrity is the most important. Always do what you say and say what you do. Set priorities on your activities and conquer them one at a time. When something is on your mind or you were asked to do something its best to just get it done right away. Have a very high sense of urgency for every task you need to do. Have a plan and plan ahead. Have a 1,3,5 year plan and then plan for the long haul and don’t get caught up in the daily cycles of ups and downs. Always remember the long term plans and strive for those. Be self-discipline if you said you will do something at a certain time commit to doing it all the time and do not deviate. Think of ways to be creative and apply your creativity to everything you do. We are all equally gifted with a brain that is capable of anything. Get around other good people and help them first without expectation of receiving anything in return and it will turn into good things because that’s just how the universe works. Set a goal to live a long and healthy life. Be decisive and action oriented. Think of one action that could give you the most benefit possible and take action at the moment to ensure you get the greatest benefit of it and now. Successful millionaires are not gamblers but they are willing to take a calculated risk for a greater reward. Please remember that success is predictable and if you practice the above you will be much closer to succeeding in anything you ever try.